Paeonia lactiflora are long lived plants which can bear over minus 40 degrees Celcius. When Paeonia is grown under optimal conditions it is not unrealistic to expect to live them for over 30 years. As long as the plants produce sufficient flowers they do not need to be divided. On the contrary, well-established plants do not like to be disturbed. 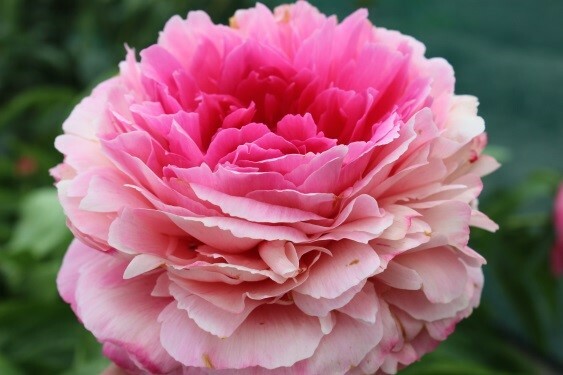 If, however, you have to re-locate herbaceous peonies it is always better to dig, divide and replant rather than transplant the entire plant from one location to another. This should be done if it seems that the plants have passed their peak, producing only a few, small flowers. To avoid non-blooming of the plants, new divisions should be planted with the top eyes on the crown not deeper than 5cm. This is the most critical aspect! 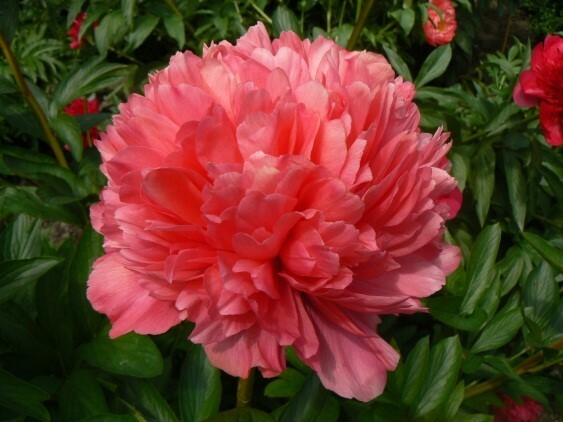 It usually takes up to 3 years from the first Spring after planting before Paeonia flowers. Good quality fresh large root divisions having 3-5 eyes, will show 1 or 2 flowers in the second year after planting. Smaller divisions can take longer to produce the first flower. The Paeonia lactiflora BORDER DIAMONDS® COLLECTION does not require a specific type of soil. The soil must be well-drained as too much water harm the plants. Well-established plants must be prepared for Winter by cutting down the foliage after the first hard frost. It is also a good idea to remove the foliage from the Paeonia area this to avoid botrytis attacking the Paeonia flowers in cold wet weather. Paeonia lactiflora BORDER DIAMONDS® COLLECTION are Paeonia varieties of American origin, recommended by prominent garden designers and leading florists and are most wanted and very popular collector items. Paeonia lactiflora BORDER DIAMONDS® COLLECTION are all proven varieties and have been tested for over 10 years. Fifteen varieties are available in small quantities. Others will follow in the years to come. 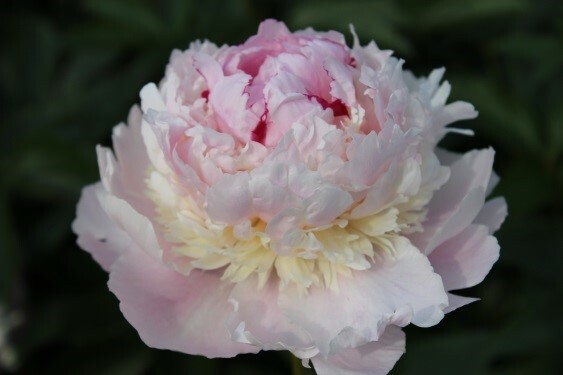 Paeonia lactiflora ANGEL CHEEKS is a traditional, fully double peony in soft cameo pink, having very large, bomb type fragrant flowers. It has a very charming narrow band of ivory petals near the flower base. The sturdy, 90cm long stem makes this exceptional beauty an excellent cut flower. 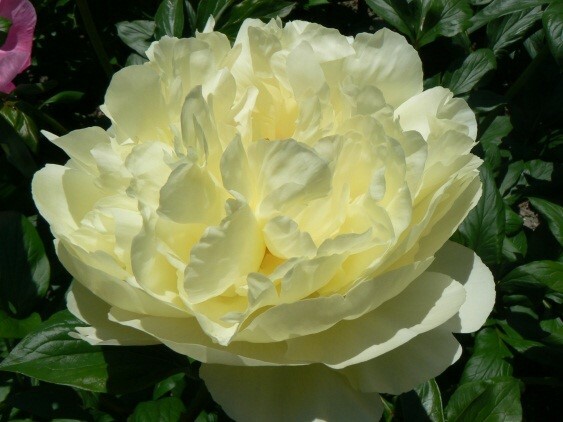 Paeonia lactiflora Angel Cheeks was awarded with the APS Gold Medal in 2005. 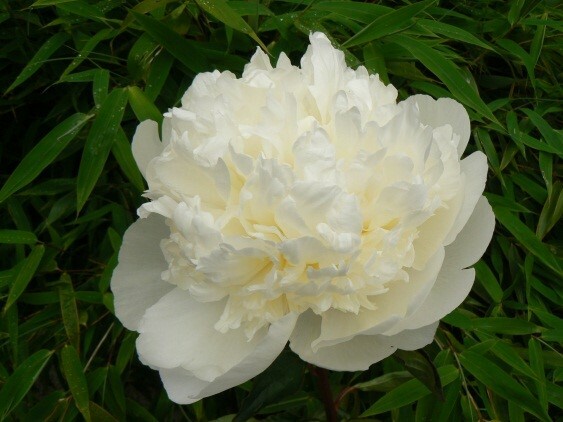 Paeonia lactiflora BRIDAL GOWN is a most desirable, bomb type peony, both for cut and in the garden. 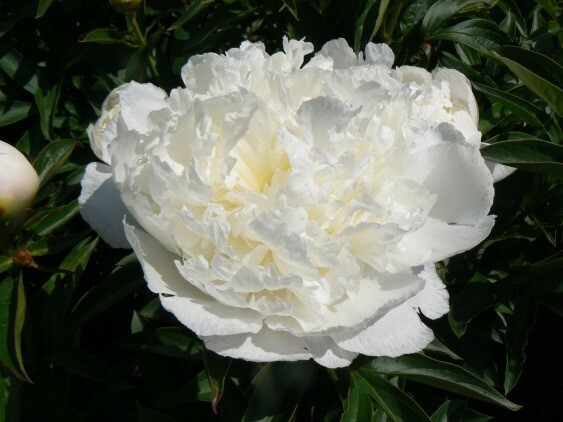 The large, creamy white guard petals hold a neat fluffy white ball. Height 80cm. Paeonia lactiflora CARNATION BOUQUET is a crossing between Paeonia Blushing Princess and Paeonia Sparkling Windflower. 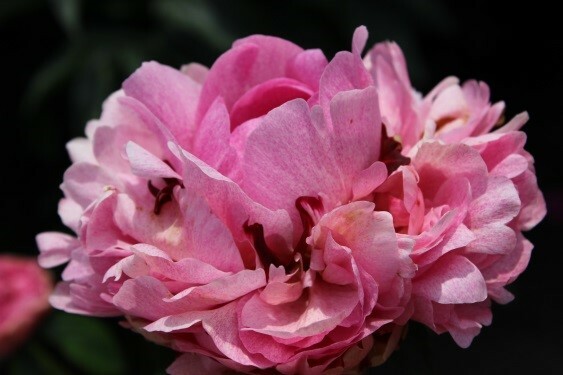 It is a reliable, vivid rose, very bright hybrid of good substance. The double flower has petals, tending to be of uniform size, giving the flower a carnation-like appearance. 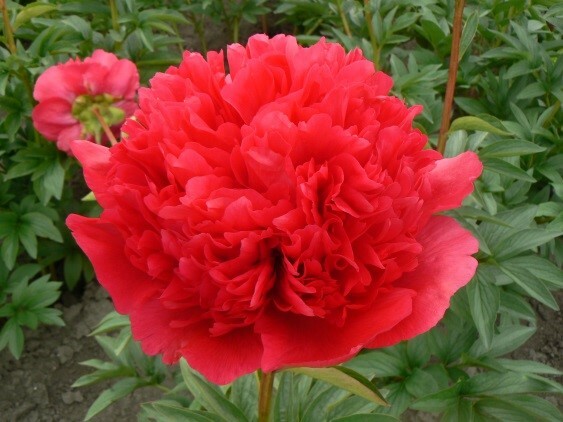 An easy to grow peony with a pretty foliage and strongly spicy fragrance. Height 85cm. Paeonia lactiflora CHEDDAR CHEESE is a top introduction of the American breeder Roy Klehm. It is a floriferous plant with many fully double white flowers with an explosion of intensely yellow petaloids that often balloon blooms into a spectacular double bombs of white and yellow. Excellent cut flower. Height 95cm. Paeonia lactiflora CLASSACT is also a well-formed Roy Klehm introduction. 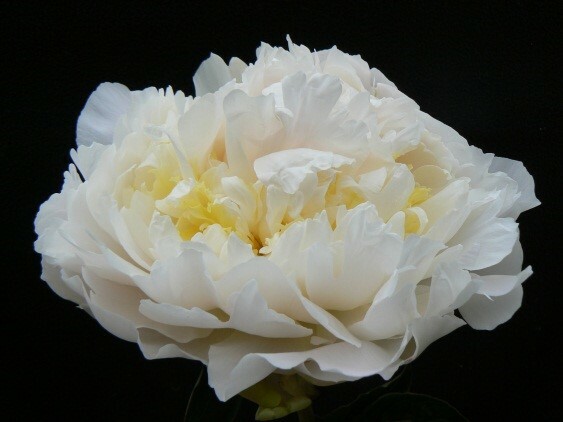 Large and rounded guard petals embrace this pleasing soft cream double peony. An abundance of classy, high crowned flowers perch on strong dark green foliage. Paeonia lactiflora COMMAND PERFORMACE was introduced in 1996 by the famous American breeder Don Hollingsworth. This cardinal-red bomb type is held on strong stems and has an interesting under glow of orange colour, giving it a unusually striking presence in the garden. An added bonus is the wonderful fresh floral fragrance. The huge flowers can reach an average diameter of 20cm. Top for cut. Paeonia lactiflora DELAWARE CHIEF is also an introduction of Don Hollingsworth and is a cross between Paeonia officinalis Rubra Plena x red double lactiflora. 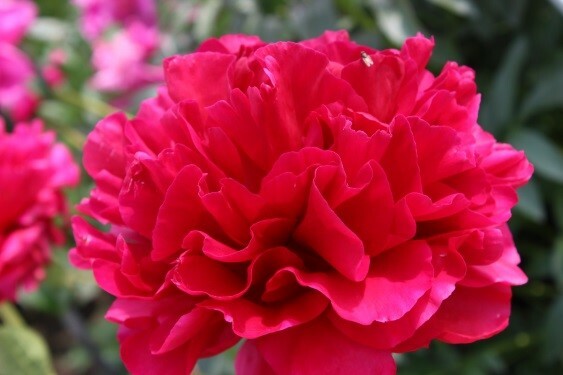 This hybrid of bomb-type double flowers opens a deep ruby-red and lightens to old rose-red as the flower expands. The centre grows into a large globular form. It is a medium tall, vigorous plant with dark green foliage. Paeonia lactiflora ETCHED SALMON introduced by Klehm, is an early-mid, fully double hybrid. The salmon coral blooms has unusual attractive, golden-edged internal petaloids. 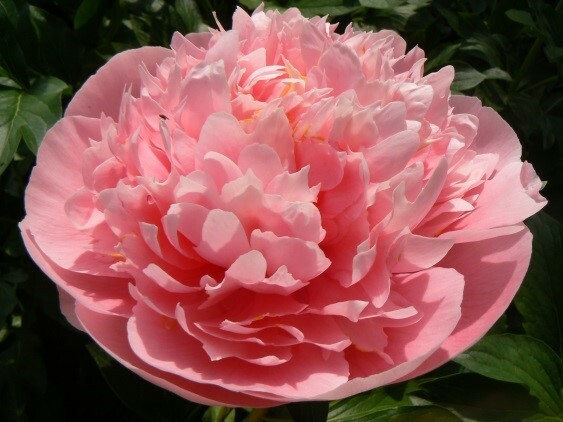 Paeonia lactiflora Etched Salmon is the most perfect form of any of the double salmon pink blooms. The truly symmetrical flowers have a magical silvery glow. 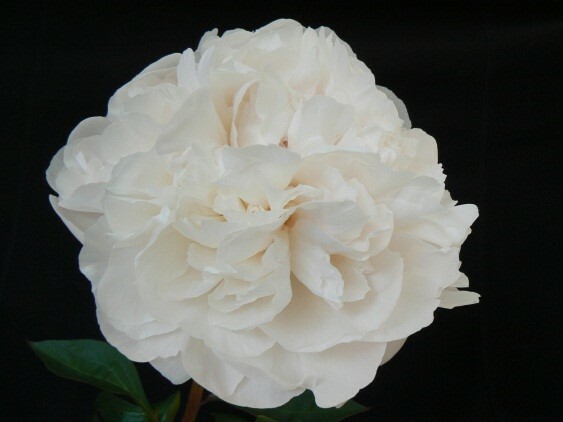 This exclusive peony was awarded with the APS Gold Medal in 2002. Paeonia lactiflora LEMON CHIFFON is a breed of David Reath and is perhaps the most important, spectacular double yellow hybrid in existence. The 90cm long stems easily hold the large blooms upright. Very floriferous. Very exclusive. Paeonia lactiflora LORELEI is an herbaceous peony hybrid, introduced by Don Hollingsworth in 1996. The colour, when it opens, is a deep, striking orange pink, which is unique in peonies and passes to light apricot orange. The fragrance is sweet and spicy. Ideal for cut as well. Paeonia lactiflora OLD FAITHFUL won in 1997 the APS Gold Medal. The rich-red, incurved petals have an extraordinary heavy substance. The very large flowers face upwards. The side-buds extend the flowering season. 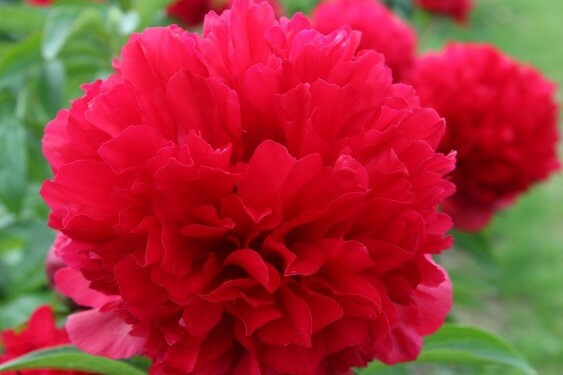 It is the latest flowering, true red peony and has thick, strong and sturdy stems. Excelle nt cut flower. Very exclusive. Paeonia lactiflora PRINCESS BRIDE was introduced in 1996 by Roy Klehm of the famous family of American Peony Breeders. 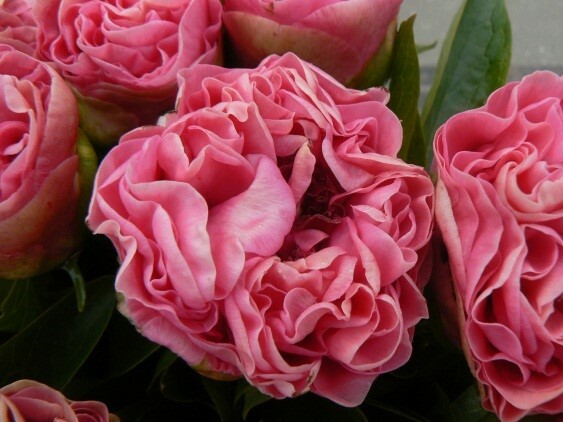 Paeonia Princess Bride is an eye-catching peony in the garden and in the vase. Big snowy globes just bursting with fragrant petals begin arising in late Spring on this splendid peony, filling the garden with sweet scent. Paeonia lactiflora THE FAWN is an introduction of B.B. Wright and is extremely well shaped. Magnificent vivid pink flowers, completely double and far different from all the other pink peonies. In fact, it seems that each petal is stained with hundreds of little, fawn-like dots and streaks. Very choice, rare variety. Flowers are well supported by strong stems of 90cm. 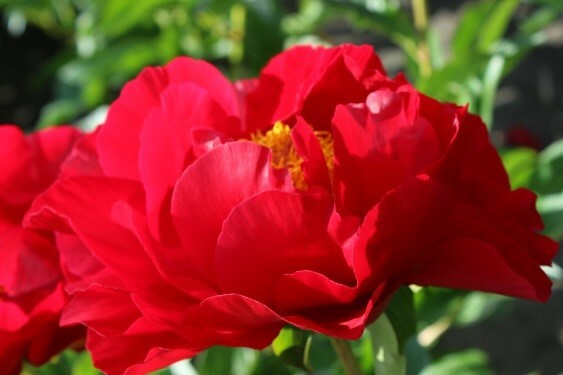 Paeonia lactiflora MACKINAC GRAND is the brightest red peony hybrid, with brilliant, silken semi-double blooms glow atop the upright tick, strong stems. It has glossy green foliage on vigorous strong growing plants and reliably produces an abundance of blooms up to 50 stems per mature plant. Height 90cm. Garden peonies are classic garden plants that add a bit of nostalgia and charm to the garden. They are simple to grow and can be used in mass plantings or hedges, or as fragrant cut flowers. By choosing a mix of early, mid and late blooming varieties, the blossoms of the Paeonia lactiflora BORDER DIAMONDS® COLLECTION can be enjoyed for up to six weeks. Peonies do not need any recommendation.